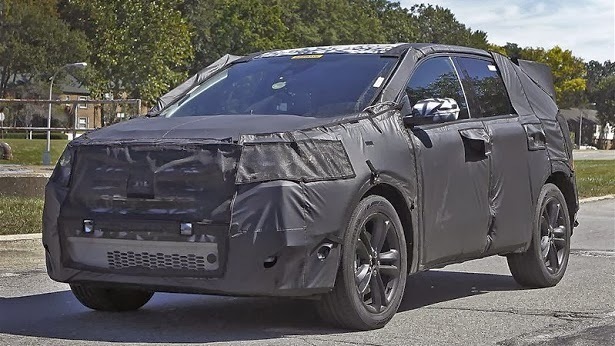 BRIGHTON, Mich. - A few weeks ago we proudly showed off spy shots of the 2015 Ford Edge as it was seen driving around Michigan in a thick camouflage coating. 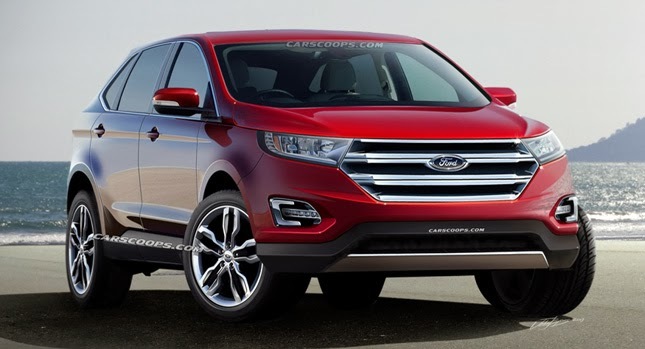 Now the 2015 Ford Edge has been revealed without the coating - and boy, it's a beauty! The crossover has clearly had some work done to its appearance, as the vehicle now sports straighter lines and deeper folds, as well as angular rear windows and rounded D-pillars. The Edge's 3 bar chrome grille has carried over from the current model and been given the trapezoidal treatment. As for the vehicle's interior, pictures haven't surfaced just yet. However, it's believed to have undergone some minor changes that Edge fans are sure to love. The vehicle's technology has been updated with Adaptive Cruise Control, Lane Departure Warning and Blind Spot Monitoring with Cross-Traffic Alert. Ford fans are also crossing their fingers that Ford's newest Obstacle Avoidance Program will be included in the Edge's technology lineup, but nothing has been confirmed as of yet. The 2015 Ford Edge has been revealed, but we will still have to wait a little longer to get all the exact specs on this impressive crossover. Until then, stop by our dealership and check out the 2014 Ford Edge - a vehicle that is currently part of the Ford Early Bird Lease Program happening now at Brighton Ford! Get out of your current lease early with up to 5 remaining payments waived and into a 2013/2014 Ford Edge - we guarantee you're going to love it!